spacious, comfortable and lovable rooms. All of them feature a private en-suite bathroom with shower and bidet, colour TV, air conditioning, free broadband internet access, very wide wardrobes set-up with hangers. Fresh towels and linen can be provided daily. 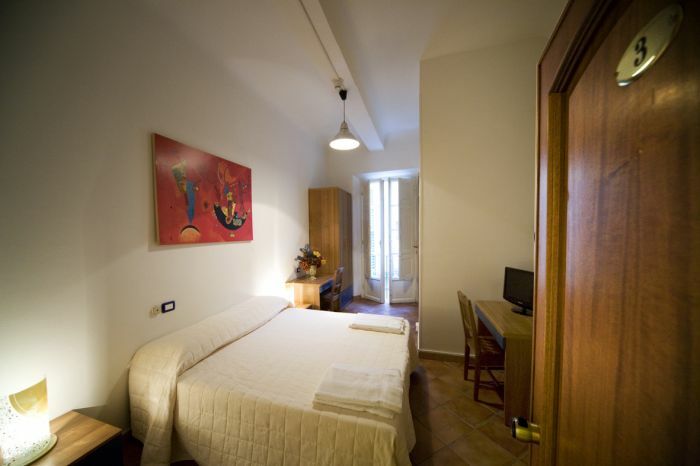 - The central railway station Santa Maria Novella is at only 400 metres. The Uffizi Gallery and Palazzo Vecchio is at only 10 minutes walking distance 1100 metres ten minutes walking distance. The Dome of Santa Maria del Fiore and Giotto's Campanile are at only 700 metres 5 minutes walking distance. Check-in time: between 3:00 pm and 7:00 pm we kindly request to advise for later arrival at least one day in advance. Check-out: rooms must be kindly checked out within 10:00 am. We kindly inform all our guests that breakfast is not inlcuded in your room rate but we recommend our partner and local "Bar Mama" at only 30 metres from our property at Via Guelfa 57. You can take advantage of having a wonderful breakfast at incredibly discounted rates of course only for Cicerone's guests. 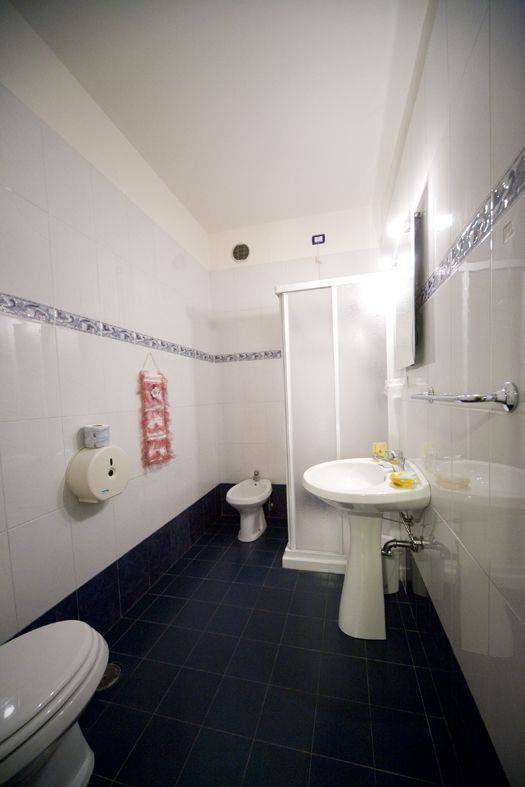 All our rooms feature a private en-suite bathroom with shower and bidet, air conditioning that you can regulate individually, color TV, broadband internet access free available only if you bring along your own laptop. Fresh towels are provided daily with no extra cost. Payments in our property are processed directly upon arrival either by cash or credit cards. We can take the following credit cards: Visa, Visa Electron, Mastercard, Maestro. Cancellation policy in our property:we kindly request all our guests to forward any cancellation 72 hours ( 3 days ) before check-in. Cancellations done after this limit will be charged for the first night only. All no-shows are instead charged for the entire amount of your stay. 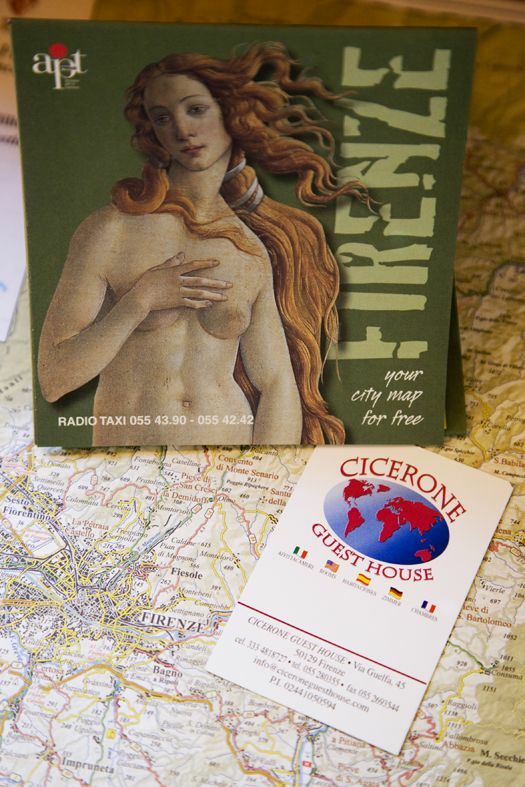 The Cicerone guesthouse is at only 400 metres from the central railway station Santa Maria Novella. Once you exit the station walk left in order to enter the main street called Via Nazionale. Reaching the first lights you turn right and we are located at the first door entrance on your right hand side. Our property is located on the first floor of this same building. 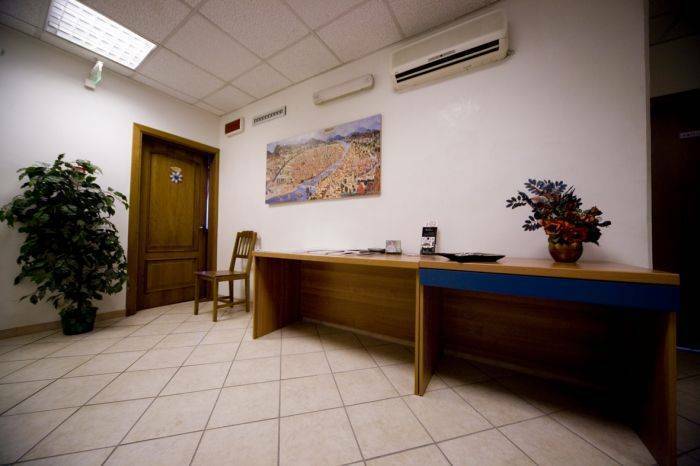 Nearest airport: Amerigo Vespucci 15 minutes cab drive from our property.